The universal size to this valve guard means that it will fit just about any trumpet or cornet. The Velcro design also means that the performer can have it tightened to his or her preference. It will also fit instruments with triggers, making it extremely versatile. 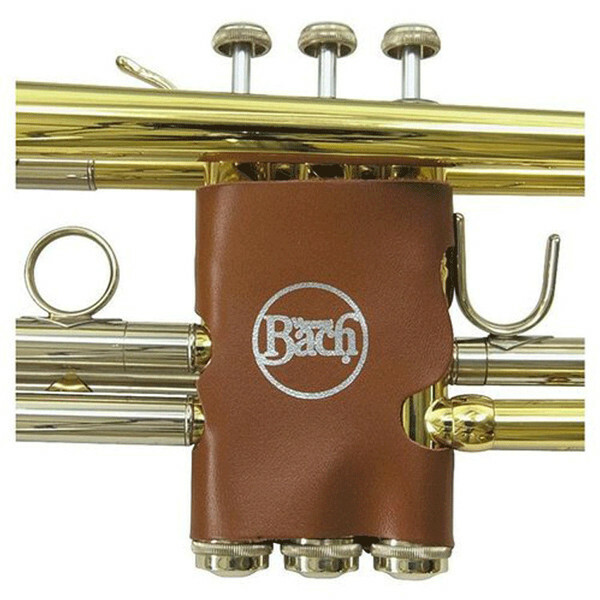 This leather Valve Guard is a stylish addition to any trumpet or cornet. It has also been embossed with the Bach logo, making it extremely desirable and long lasting.